What if I told you that reality is one of many? 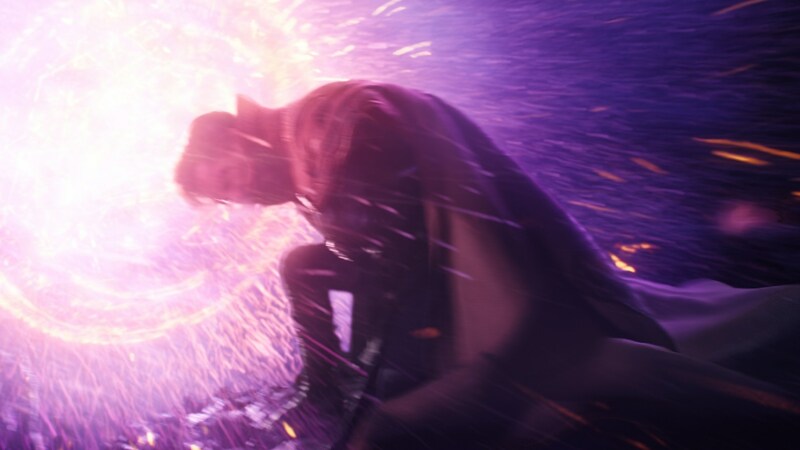 Based on the 1960s Marvel Comics, Doctor Strange tells the story of Dr. Stephen Strange pursuing the art of black magic and his battle to save the world from the demonic ruler of the Dark Dimension–all with the added spice of Benedict’s charm and quick wit. Luma worked on over 200 shots from June to October 2016 between the Los Angeles and Melbourne studios. The team began early look development two years prior. 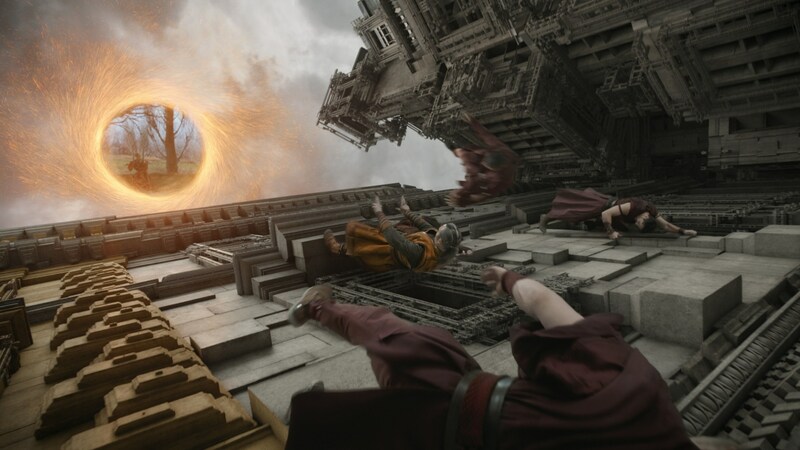 In the opening sequence, the Ancient One fights and chases the Zealots through a London alleyway that Mandelbrots into an astonishing array of kaleidoscoping architecture. 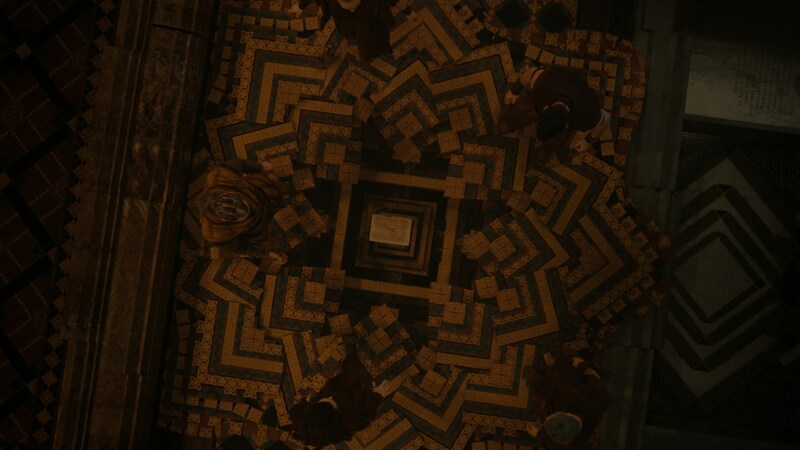 Unaffected by the laws of gravity, they all walk on walls as the building comes alive and begins to rotate and fold into itself. On top of creating 14 digi doubles for this sequence, the animation department hand keyed and choreographed the architecture of the buildings with the actor’s motions. In both the London and Cathedral sequence, Luma built and developed the technology to duplicate and render the fractals of the buildings thousands of times over. 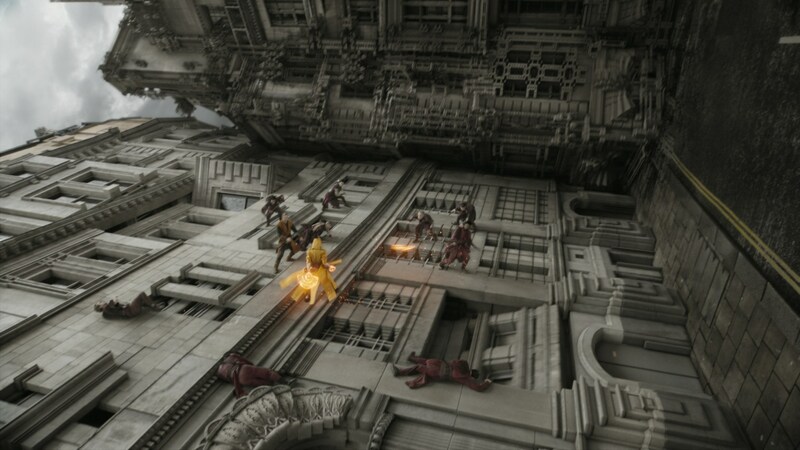 In order to art direct the speed and movement of all the fractals, the team created tools in house that allowed the artists to visualize the scenes inside the viewport of Maya. Luma drew inspiration for the Dark Dimension directly from Steve Ditko’s 1971 “Third Eye” blacklight poster, which meant it had to be heavily art directed. 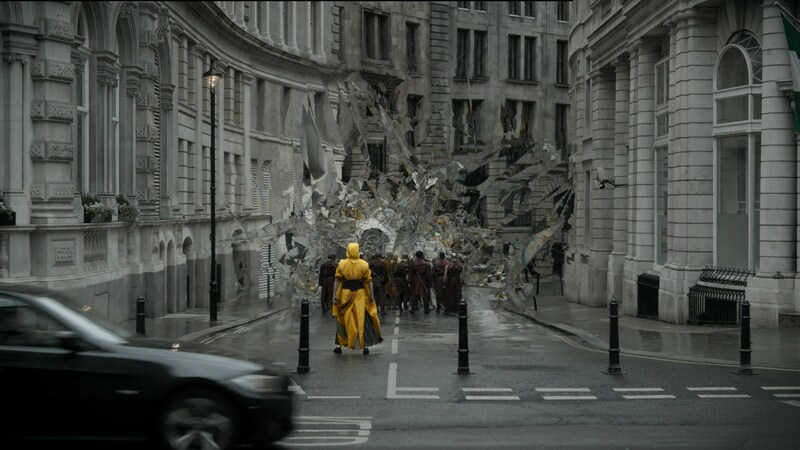 Luma was tasked with translating the amorphous 2D graphic into a believable three dimensional photorealistic world, with almost every shot in this sequence done entirely in 3D. Luma developed the look with a lot of neon color; as a result, the crew had a limited palette to draw from and had to invent new rules to create the visually stunning and vibrant environment. 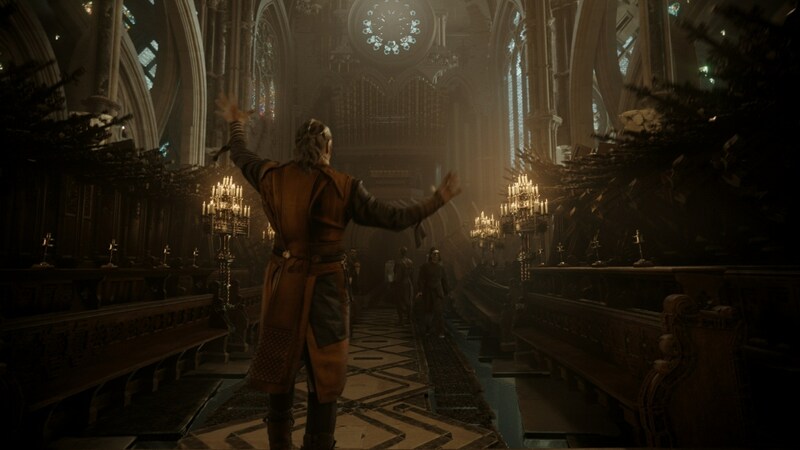 The look was highly stylized, so the team had to create elements that would allow for flexibility and a vast array of color and value variation at the shot level. 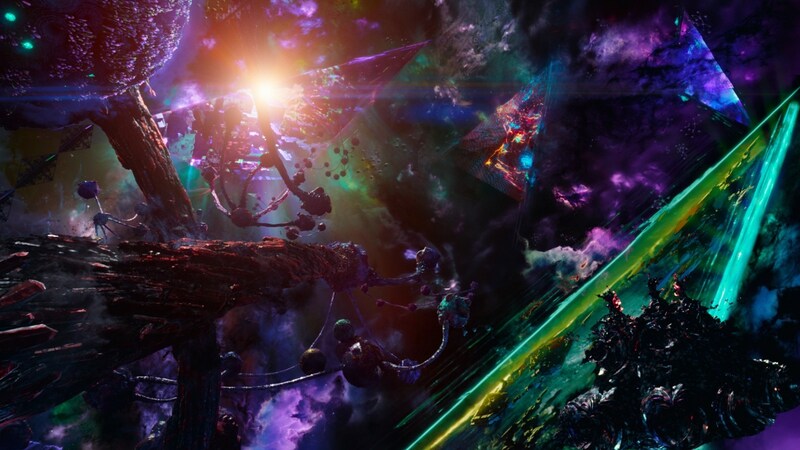 Creating Dormammu provided its own challenge in that the team had to translate his look from the comic book illustrations to a photoreal living and physical being, which required each shot to go through look/dev first. The color choices and movements were all intentional: the world itself is supposed to feel like an environment that is toxic, saturated with organisms that want to destroy you. 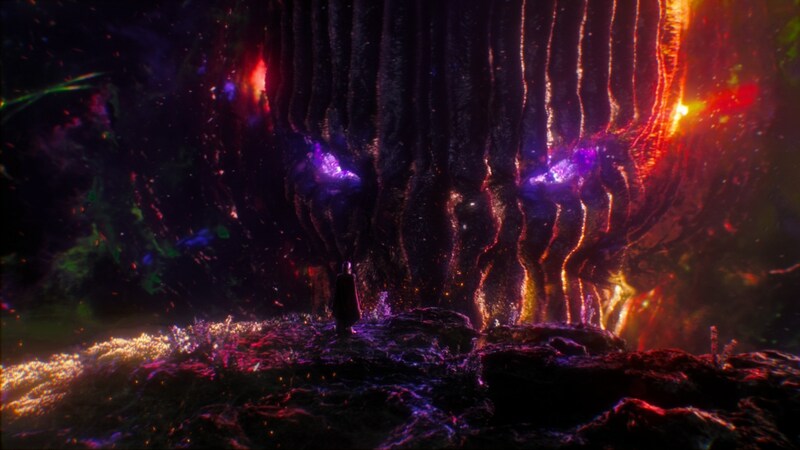 Dormammu, I’ve come to bargain!